SKYCLIMBERS Window Cleaning is a full cleaning service provider, with expertise in power washing. To ensure no disruption to your business, we do after pressure washing service during the night. We use the cutting-edge infrastructure and have a pool of professionals who are fully trend and efficient to provide excellence Windows washing service even at night. They are well trained and have sufficient experience. And the best they demonstrate responsibility and are very professional in their approach, so you can rest assured of the quality of work and do not need to be at the workplace. 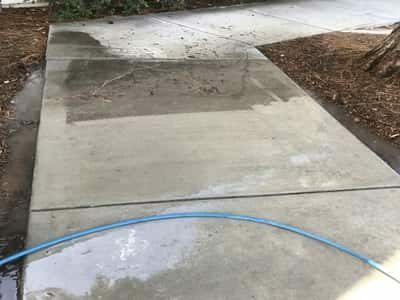 To provide quality pressure water washing services in La Jolla, we use our own power supply source. We use pressure washing systems powered by our own diesel. So we do not require using your main electricity. We use advanced highly efficient machines that are capable of removing any type of stain and most interestingly, they can do that without causing any damage to your floor or surface. To remove the stain, we use air surface spinner of a reputed brand and hot power washer which make stain easy to be cleaned. Hot water is known to work wonders to remove a patch or stain. It weakens the bond of the stain. So it becomes easy to clean. Our hot water power washer machine is capable of producing a steam of up to 150°c. Be it graffiti removal or deep cleaning, we will do that with the highest level of precision. Our 3300psi standard cold-water washer to clean stucco bricks and vinyl tiles, light presser wash of side walk or drive ways. Cleaning solutions are as important as equipment used for cleaning. They are crucial from a health point of view. When choosing cleaning solutions, make sure they are approved to be safe to health and environment meet international standards. We, at SKYCLIMBERS Window Cleaning, use only those Window washing solutions that are not only safe to health but also best fitted to the environment. We strive to use eco-friendly cleaning solutions for Streak free window washing and power window washing service as best as possible. Hot water pressure washing is more effective than cold water pressure and takes less time to dry. Also, it reduces the use of chemicals saves water, which eventually results in the reduced cost of cleaning. Very effective in cleaning Grime, muck, grunge, and grease. It loosens the stain, making it easy to clean. Thus, no bruising to the tiles. It reduces the use of chemicals. So there is no impact of harmful chemicals on health. To provide world-class residential and commercial window washing services in Escondido, Otay and the San Diego country areas, we employ experienced cleaners who are also trained in best practices used for window cleaning. In addition, our cleaning professionals have a deep understanding of what precautions should be taken while providing the Streak free window washing and Windows washing services.